Herbicide injury from ALS inhibitors including imidazolinones (such as imazapic, imazapyr and several others) and sulfonylureas (including sulfosulfuron, metsulfuron, sulmetron, and others). Yellow shoot tips and die-back. Yellow, pink or purple veins. 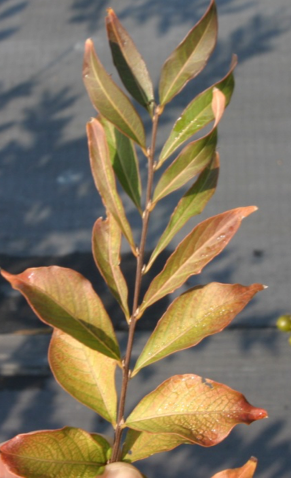 Image herbicide injury to dogwood. Japanese maple damaged by root uptake of imazapyr. 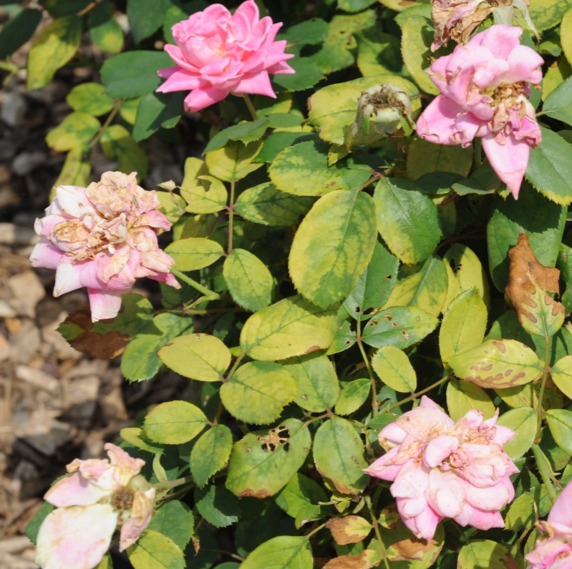 Knockout rose chlorosis caused by imazapyr spray drift, two weeks after application. 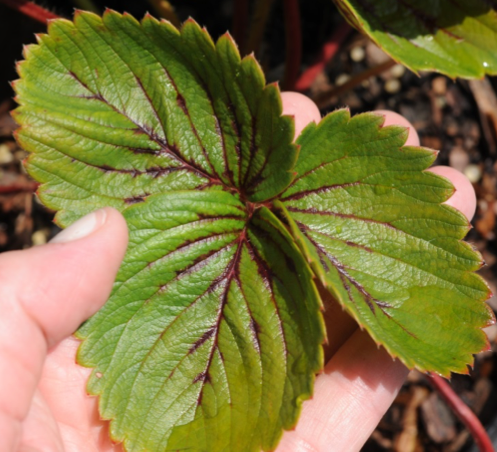 Reddish pigmentation of main veins on strawberry caused by imazapyr spray drift, five days after treatment. 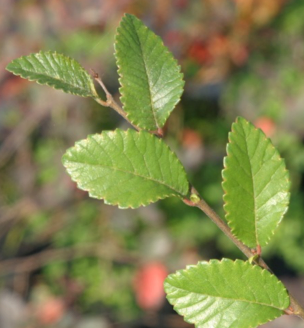 Chinese elm: imazapyr, soil applied. Chinese elm: imazapic, soil applied. 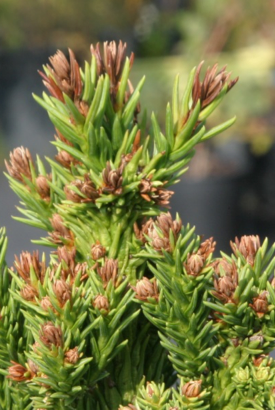 Cryptomeria: imazapyr, soil applied, four weeks after treatment. 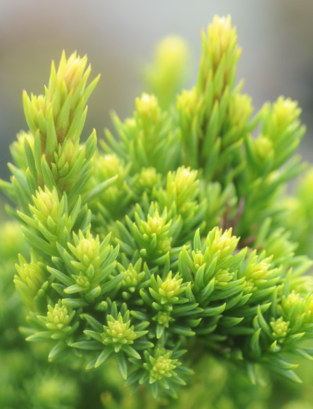 Cryptomeria: imazapyr, soil applied, four months after treatment. 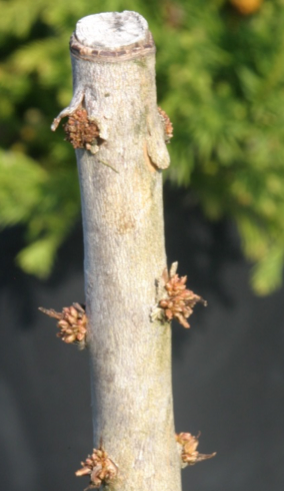 Cryptomeria: imazapic, soil applied, four weeks after treatment. 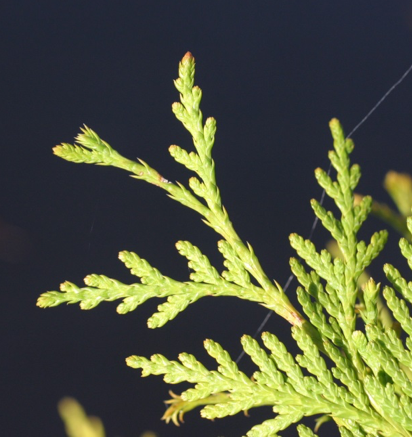 Cryptomeria: imazapic, soil applied, four months after treatment. 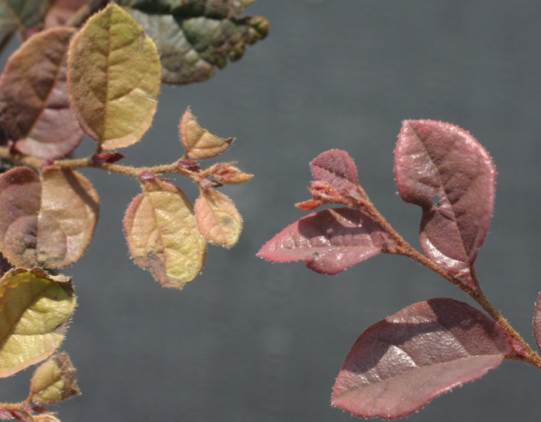 Crape myrtle: imazapic, soil applied, stunted chlorotic foliage. Crape myrtle: imazapyr, soil applied, stunted with new growth witches broom. 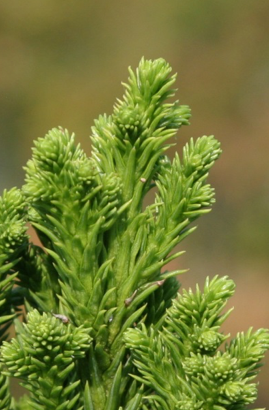 Arborvitae: imazapic, soil applied, plant severely stunted, chlorotic and necrotic growing points. 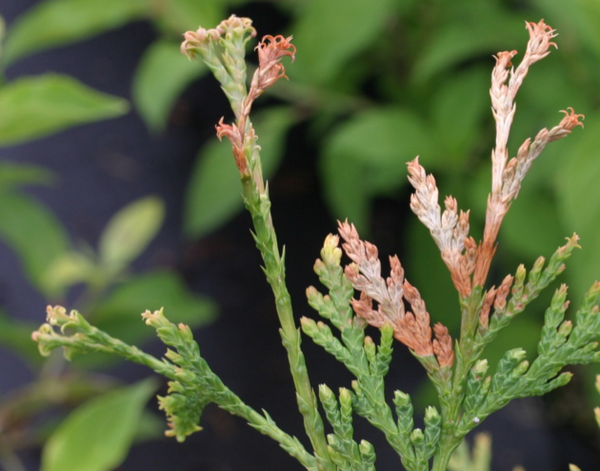 Arborvitae: imazapic spray drift; tip necrosis, stunted and chlorotic growing points, new needles curled back. Imazapic spray drift on loropetalum. 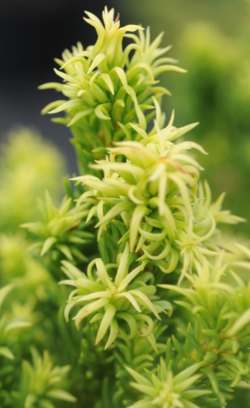 Initial symptoms about two weeks after treatment include stunted and chloratic new growth. Treated foliage on the left, non-treated on the right. 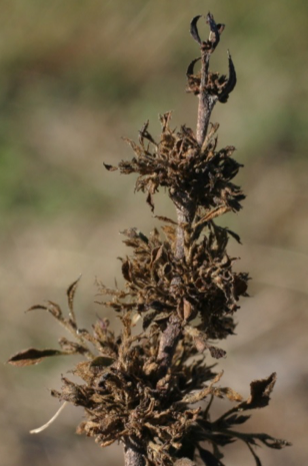 Over time tip necrosis, witches broom, and dieback develop. 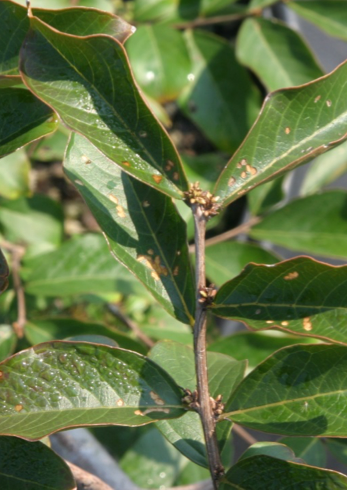 Imazapic spray drift on loropetalum, six months after treatment. Imazapic spray drift on hydrangea, about two weeks after treatment. 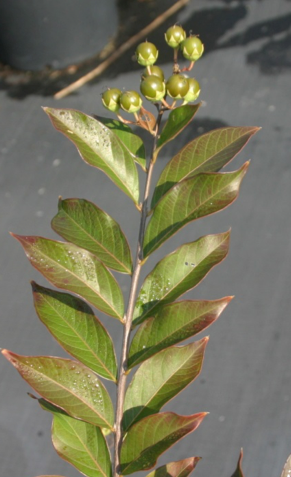 Initial symptoms include stunting and chlorotic new growth. Treated foliage on the left, non-treated on the right. 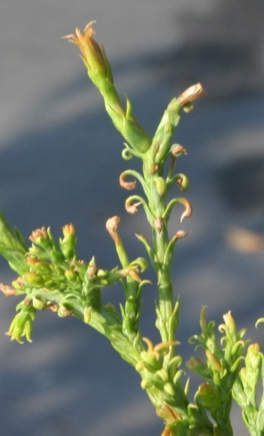 Imazapyr root uptake injury to Nellie R Stevens Holly. Applied as a mixture of glyphosate + imazapyr to weeds around the plant. Foliar and soil absorbed and translocated. Some ALS herbicides have long residual and may affect nearby plants via root uptake or crops planted into previously treated soils. Selected ALS members provide very broad spectrum control while others are quite narrow. 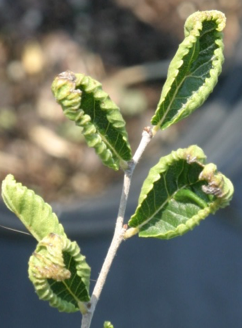 Growth cessation within a week of application, followed by chlorosis of the growing points, then tip necrosis, followed by a general decline and death over a period of 3 to 4 weeks. ALS-resistant crops are widely used. 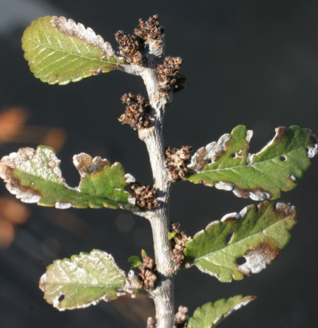 Desiccation – loss of cell turgor pressure; salt accumulation. General root decline due to poor soil conditions or soil diseases. 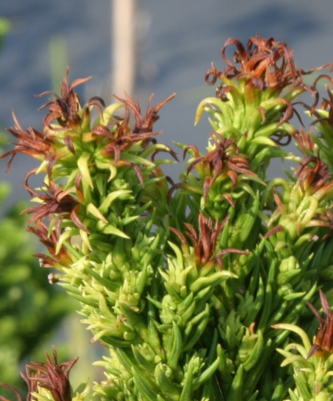 In woody plants, witches brooms and deformed or cupped foliage may resemble glyphosate drift or auxin herbicide injury.